SolarEye®80After many years of testing and development, we are delighted to introduce the SolarEye®80. The Bat HatHere at the Lakeside Group – we love bats! 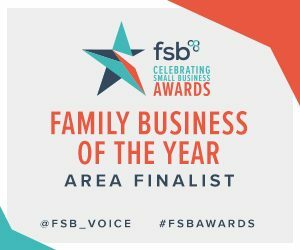 The FSB has revealed which leading small businesses across the South West have been shortlisted in The South West FSB Celebrating Small Business Awards. Lakeside Group, supplier of the solareye80, a solar powered ground light for use on cycleways and pathways has been shortlisted as a finalist for the South West Area Awards! The South West Area Final will take place on Thursday 7 February 2019 at Somerset County Cricket Club. The second path on the other side of the canal has a fence one side and a high wall the other meaning even more shade! Lakeside themselves were not convinced that the units would get anywhere near enough daylight to be able to function at all but lo and behold they are also working perfectly! A great solution for paths that desperately needed lighting but with no option for hard wiring – we have managed it. The next project will involve extending the installation down the full length of the canal path which is about 7km long. The first path was quite narrow, next to a canal with tall trees on one side so there is a fair amount of shade. We weren’t sure if the product would be able to work efficiently with this amount of shade but are delighted to report that this factor has not hindered them in the slightest and they are working perfectly well. The SolarEye80 has provided a valuable solution to a section of a cycle path near to the Create Centre – a well used path by commuters in and out of the city – this path was crying out for lighting but to hard-wire would have been too expensive. This simple solution has made such a difference to the path, especially now the evenings are drawing in. We have been studying the performance of the units over the past 6 months and are very impressed. To be kept up to date on everything SolarEye80, enter your details below.